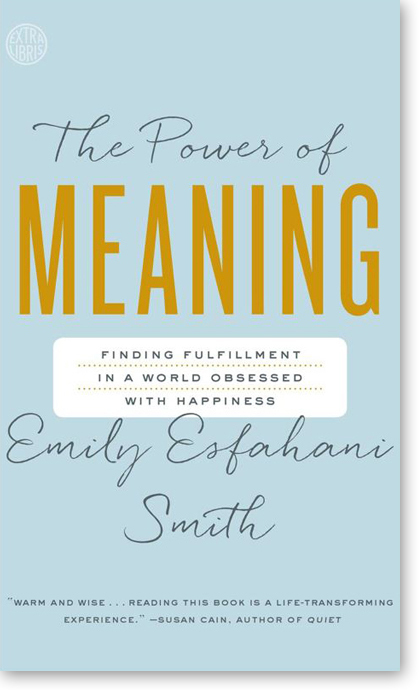 We are greatly influenced by The Power of Meaning: Crafting a Life that Matters by Emily Esfanani Smith. We knew, when starting ThriveUnion, we wanted to be a community that would deeply impact the lives of our members -- which would ultimately impact the community and world around us. We didn't know just how much of an impact our community could make until we read "The Power of Meaning". In today’s society many focus on pursuing happiness. However, Smith argues that utilizing our time, effort, and money focusing only on happiness won’t actually help us to obtain it. Instead, she believes that the key to true happiness is to focus on meaning. Through her research, she discovered that meaning is found through community. No matter what type of work or tasks we do, "when we reframe our tasks as opportunities to help others, our lives and our work feel more significant." We encourage you to read this fantastic book. Meaning, watch this TED Talk and you can learn about it for yourself.